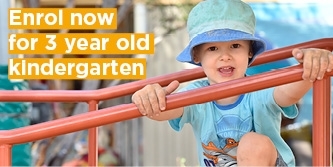 At Keon Park Children's Hub, we provide a safe, stimulating and nurturing environment where your child can discover and realise their potential. 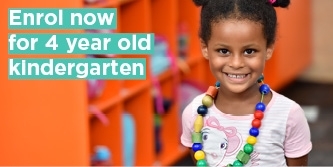 Our qualified and experienced educators are dedicated to nurturing your child's unique strengths and interests, ensuring your child is comfortable to learn and develop at their own pace. Our play-based learning programs provide a rich and imaginative educational curriculum where your child will have every opportunity to grow and develop through play. We strive to assist each child in developing a positive self-image and social attitudes. We have a strong commitment to inclusive practices, and many families accessing the service come from culturally and linguistically diverse backgrounds. We empower children and their families to contribute to the direction of each child’s learning and development. We value our close relationships with families within our kindergarten community. We are passionate about sustainability and have included sustainable practices within our program. Your child will learn about composting, worm farms and our veggie gardens, which complement the design of the building that includes solar power and rooms filled with natural light. Our large and inviting outdoor play spaces will allow your child to develop their fine and gross motor skills in an engaging and diverse environment. Offering a sandpit, climbing equipment and an array of natural materials that will foster your child's imagination. Our state-of-the-art indoor spaces are perfect for both individual or small group play. Your child will explore their creativity and curiosity through innovative learning experiences, in a dynamic environment.